Before I started becoming a devout student of the Bible, I used to be a devout believer in the Prosperity Gospel/Word of Faith movement. I used to feel entitled to all this world has to offer because I was a “child of the King!” I would take scriptures that were specifically for the children of Israel and use them as assurance that God owed me stuff according to His word. I was doing foolish things in the name of “faith” in order to position myself to “blessed,” and with all the giving I was doing I NEVER reached a place of “having no room to receive” (Mal. 3:10). It was shortly after graduating ORU that I left the Charismatic/ Word of Faith sect, and I started seeking a more accurate biblical interpretation of how New Testament Christians should live and approach God. It has taken me years to detox from some of the bad theology that came from that teaching; but I must admit there are moments I find myself interpreting scripture from a place of entitlement and not within its proper context. For the last two weeks I have been meditating on Psalms 23, and I found myself reverting back to some of the bad habits of the “Name It and Claim It” tradition. I made a list of some simple things I wanted that I felt would take God no time to supply. The week passed by, and I felt myself being frustrated that God did not give me the wants I requested. How dare him, right?!? Then I had the audacity to say out loud, “You are my shepherd. Why don’t I have what I want?” #bratface Before I could finish the Holy Spirit said, “study to find out what “I shall not want” truly means.” So I went into Theology student mode, and I started to read commentaries on the verse. The Lord is my shepherd.” What condescension is this that the Infinite Lord assumes towards his people the office and character of a Shepherd! It should be the subject of grateful admiration that the great God allows himself to be compared to anything which will set forth his great love and care for his own people. 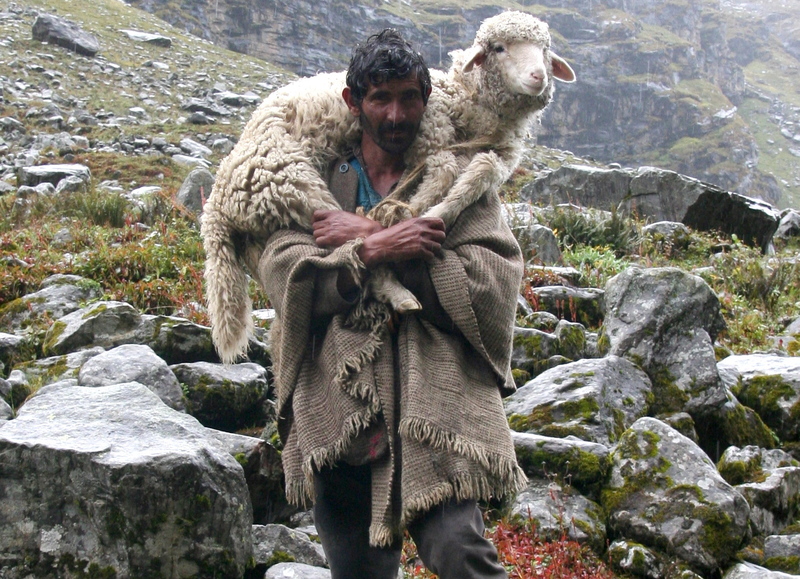 David had himself been a keeper of sheep, and understood both the needs of the sheep and the many cares of a shepherd. He compares himself to a creature weak, defenseless, and foolish, and he takes God to be his Provider, Preserver, Director, and, indeed, his everything. No man has a right to consider himself the Lord’s sheep unless his nature has been renewed, for the scriptural description of unconverted men does not picture them as sheep, but as wolves or goats. A sheep is an object of property, not a wild animal; its owner sets great store by it, and frequently it is bought with a great price. It is well to know, as certainly as David did, that we belong to the Lord. There is a noble tone of confidence about this sentence. There is no “if” nor “but,” nor even “I hope so;” but he says, “The Lord is my shepherd.” We must cultivate the spirit of assured dependence upon our heavenly Father. The sweetest word of the whole is that monosyllable, “My.” He does not say, “The Lord is the shepherd of the world at large, and leadeth forth the multitude as his flock,” but “The Lord is my shepherd;” if he be a Shepherd to no one else, he is a Shepherd to me; he cares for me, watches over me, and preserves me. The words are in the present tense. Whatever be the believer’s position, he is even now under the pastoral care of Jehovah. The next words are a sort of inference from the first statement – they are sententious and positive – “I shall not want.” I might want otherwise, but when the Lord is my Shepherd he is able to supply my needs, and he is certainly willing to do so, for his heart is full of love, and therefore “I shall not want.” I shall not lack for temporal things. Does he not feed the ravens, and cause the lilies to grow? How, then, can he leave his children to starve? I shall not want for spirituals, I know that his grace will be sufficient for me. Resting in him he will say to me, “As thy day so shall thy strength be.” I may not possess all that I wish for, but “I shall not want.” Others, far wealthier and wiser than I, may want, but I shall not.” “The young lions do lack, and suffer hunger but they that seek the Lord shall not want any good thing.” It is not only “I do not want,” but “I shall not want.” Come what may, if famine should devastate the land, or calamity destroy the city, “I shall not want.” Old age with its feebleness shall not bring me any lack, and even death with its gloom shall not find me destitute. I have all things and abound; not because I have a good store of money in the bank, not because I have skill and wit with which to win my bread, but because “The Lord is my Shepherd.” The wicked always want, but the righteous never; a sinner’s heart is far from satisfaction, but a gracious spirit dwells in the palace of content. I shall not want—Namely, anything that is really necessary for me, either for this life, or for the next. But foolish men may think many things to be necessary for them, which the all-wise God knows to be, not only unnecessary, but hurtful, and therefore mercifully denies what men ignorantly desire to their hurt. I shall not want; not anything, as the Targum and Aben Ezra interpret it; not any temporal good thing, as none of Christ’s sheep do, that he in his wisdom sees proper and convenient for them; nor any spiritual good things, since a fullness of them is in him, out of which all their wants are supplied; they cannot want food, for by him they go in and out and find pasture; in him their bread is given them, where they have enough and to spare, and their waters are sure unto them; nor clothing, for he is the Lord their righteousness, and they are clothed with the robe of his righteousness; nor rest, for he is their resting place, in whom they find rest for their souls, and are by him led to waters of rest, as in Psalm 23:2, the words may be rendered, “I shall not fail”, or “come short” (s); that is, of eternal glory and happiness; for Christ’s sheep are in his hands, out of which none can pluck them, and therefore shall not perish, but have everlasting life, John 10:27. P.S. As a Bible student and teacher, I know I was doing some lazy studying and meditation on Psalm 23:1. One look at a different translation of the Bible could have given me a better understanding of the scripture. However, I believe the route I took was necessary because God wanted me to get rid of my bad theology; be mindful of how I am interpreting scripture; and come into a better understanding of how amazing He truly is. God is greater than a genie because it has a limit to what it can give. He is my Shepherd, and I shall not want. That’s good news!! !